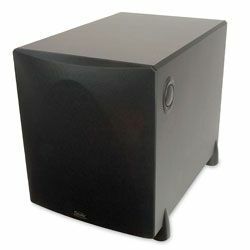 The Dayton Audio SUB-1500 is a great subwoofer if you want to fill your room with the shaking bass sound. It is a great, powerful model that can provide you with a clear, well-balanced sound. This model also features various dials that allow you to control numerous parameters to make it an inseparable part of your audio setup. This model was designed to make sure you will always get the perfect sound no matter how loud you want it to be. 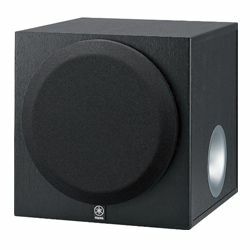 This Dayton Audio SUB-1500 review should help people understand if this model is the right option for them. The Dayton Audio SUB-1500 looks quite big and a bit aggressive. This model has an enormous 15-inch long-throw woofer. To make the output sound as clean and natural as possible, this model has a port, which has the down-firing design. That is why this model has four feet that make this model always stand stable on any kind of surfaces. The rigid structure of this model allows minimizing or completely excluding any vibration. The vented enclosure also helps to make the output sound clearer. The body of the Dayton Audio SUB-1500 is made of MDF, which means this is a durable model and the body is not easy to damage. The polymer woofer composition also adds rigidity. 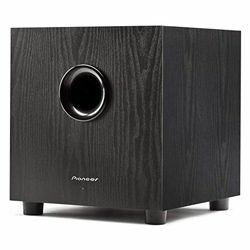 Overall, it is a subwoofer with the rigid construction with a nice black vinyl texture. The back panel features all the input ports you may need, it has RCA LFE inputs, RCA stereo line level inputs and 2 speaker inputs and outputs. The ports are made well so they guarantee a perfect connection with other devices and you will get no noise. The panel also has switches (power and phase) and dials (gain and crossover). The front grill can be detached. The dimensions of this model are 19.6x19.2x19.8 in and the weight is 56.1 pounds. This is a great option for people who value good bass sound and the Dayton Audio SUB-1500 specs prove it. The audio amplifier output power is 150 W. The impedance is 4 Ohms, while the frequency response range is from 23 Hz to 140 Hz. Therefore, this model is compatible with various setups. However, the wide crossover frequency range (from 40 Hz to 140 Hz) allows making it an inseparable part of any audio setup. It also features an active amplifier. This model also has the phase switch which allows you to choose between 0 and 180 degrees settings. The power switch has three modes – on/auto/off. The gain dial allows you to change the volume level. All dials and switches are extremely easy to reach, so you can tweak everything without any problems. Many customers who use this model claim that this subwoofer is extremely powerful and it outputs the deep and natural sound. Some clients prefer to compare this 15-inch model with the 10-inch model and they state that the difference is huge and the Dayton Audio SUB-1500 leaves no notes untouched – it perfectly handles the lowest frequencies, so everything starts rattling. However, some customers claim that it is a great option for movies, but not the best one when it comes to music. You can play with the settings to get the right sound, but you will have to do for each individual album. 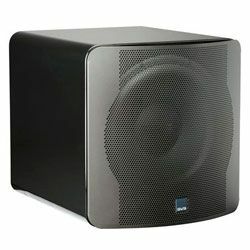 Some customers also claim that this subwoofer sounds very good, but the frequency response starts to roll off quickly around 30 Hz. Customers also notice no port noise and this model is very loud. You may find it too boomy, but the bass is still accurate. Usually, customers do not have any problems with the SUB-1500 setup process – everything is simple and you have a good manual. You just need to connect all the cables, tweak various settings to make it blend perfectly with your other speakers. Customers claim that all the dials and switches are easy to reach and you can easily adjust various Dayton Audio SUB-1500 settings. 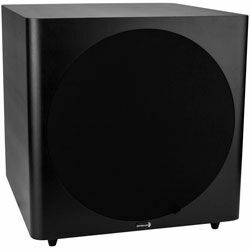 The Dayton Audio SUB-1500 is a good option if you need to get a high-performance subwoofer that will provide you with the deep bass sound. It is built well and it can shake your room. This model may be an option even for middle-sized rooms. Many customers claim that it is a perfect deal (the price is around $190) for those who need clear sound. However, some people claim that it does not handle perfectly some frequencies. Nevertheless, it is a good option for movies and it may be great for music.